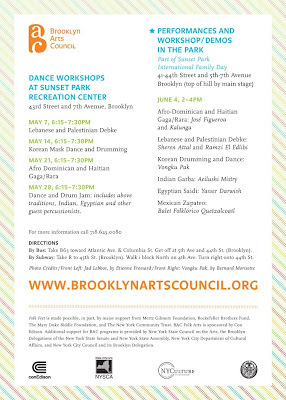 Tomorrow night is the third installment of a month-long series of dance workshops from around the world at the Sunset Park Recreation Center. These are free and open to the public. Each workshop begins at 6:15 PM. 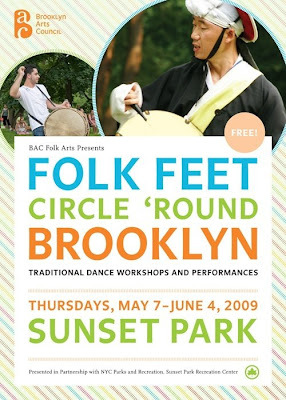 This installment is Afro-Dominican and Haitian Dance.Click on the posters or the Friends of Sunset Park website for more information.